HAZARD, Ky. – Teleworks USA, a Grassroots Partner of SOAR, is hosting a Job Fair for Kelly Connect next month, but the group is hosting a series of custom workshops to better prepare applicants to gain employment. Jobs will range in pay from $12 to $13 an hour and will be remote work, or work-from-home jobs. Teleworks USA is a program administered by the Eastern Kentucky Concentrated Employment Program, Inc. (EKCEP), a Grassroots Partner of SOAR. The workshops provide customized training that align with the program of work for Kelly Connect. In order to apply for the open positions, applicants must attend a Teleworks USA workshop, which will be held at its network of Hubs across the region and will be offered daily. Teleworks USA’s work aligns with SOAR’s Regional Blueprint goals of Connectivity and 21st Century Workforce. 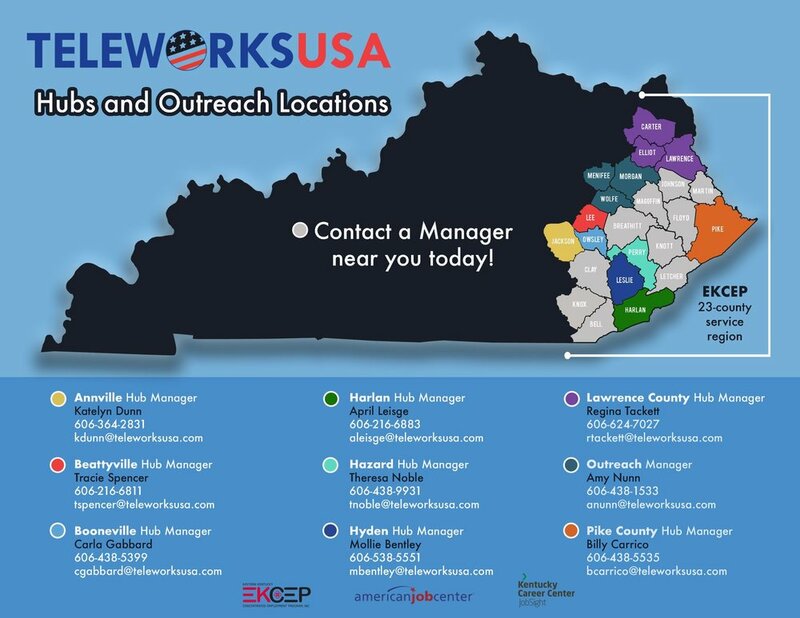 Since 2015, Teleworks USA has helped to place more than 2,000 people in remote-work opportunities in Eastern Kentucky.